Age of Empires II HD is a Strategy and Action game for PC published by Microsoft Studios in 2013. Experience improved Age of Empires II. You can lead your empire again. This version includes all of the expansion packs released for Age of Empires II HD. Land meets the sea in The Rise of the Rajas! Alongside massive rainforests, treacherous beaches, the new mangrove forests and shallows provide a whole new playstyle. The new amphibious terrain can be built on and both land units and ships can pass through it. This new terrain type is featured on each of the five new random maps. 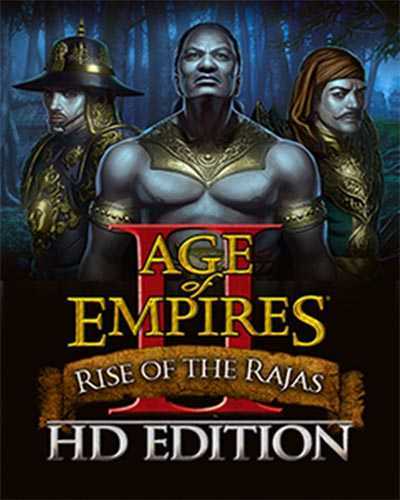 This bundle has Age of Empires II HD + The Forgotten + The African Kingdoms + The Rise of the Rajas inside. 21 Comments ON " Age of Empires II HD Free Download "
Will this work on windows10? Does not work. PLZ help. The password is below from the Screenshot Link! And LAN you can play but you need portforwarding! How can i change player from RLD! ? becouse in game i cant do it ..
i get the steam_api restart app if necessary bug, what do i do? Ditto on the steam_api restart bug. Any suggestions? Whats the password for the file? Wont run the file..what program should i use then?